The department offers Bachelor of Arts degrees in Sociology and Anthropology. Majors who wish to concentrate in a sub-specialty can earn an option in either Archaeology for Anthropology majors or Criminology for Sociology majors. We also offer minors in Sociology, Anthropology, and Criminology. Many of the faculty members teach for the Women and Gender Studies, African American Studies, and Latino/a Studies programs. Today’s SmartTalk will feature Dr. Frederika Schmitt, a sociologist and criminologist from Millersville University who focuses on inequality. 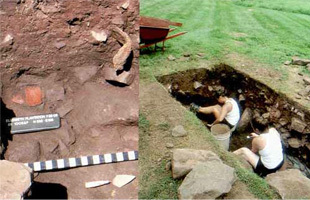 The Archaeology program at Millersville University is dedicated to learning and understanding the role that Lancaster County and Colonial Pennsylvania played in the context of the larger colonial Atlantic World by way of ethical archaeological excavation, historical analysis and documentary research. Like and Follow our Sociology Department on Facebook!